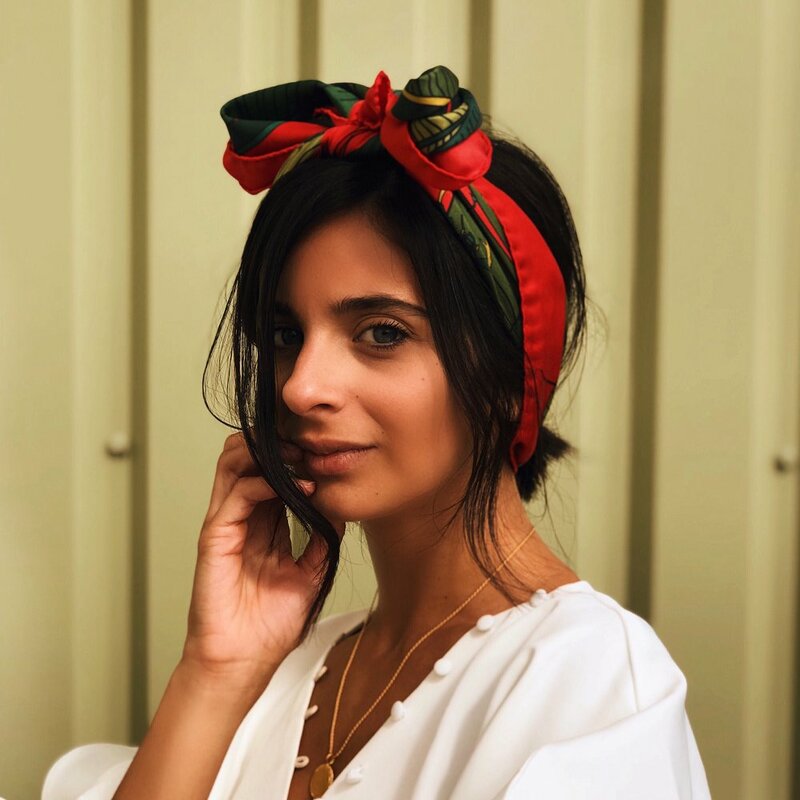 “silk scarves have long forever been a favourite with the fashion crowd, but until now I haven’t owned one that I have truly fell in love with. I find there are so many different patterns and fabric that actually it can be really hard to find one that suits you and that you would feel comfortable wearing! I was beyond super excited to team up with Aeneis and their luxury yet chic scarves to show you three different ways to style a silk scarf! A chic Parisian store that masters the art of french dressing! The silk scarf possibilities are endless. You can wear it as a top (dependant on size of the scarf mind..) or you can wear it around your neck teamed with a bardot top for a chic day time off duty look. It’s versatility is why you guys should invest in one and I’ve picked the red Botanical scarf to style in my new series of “Three Ways to..”.